Every BrainPOP Jr. topic links to one or more educational games that challenge students to apply what they learned about the topic. All topics have a BrainPOP Jr. original game. 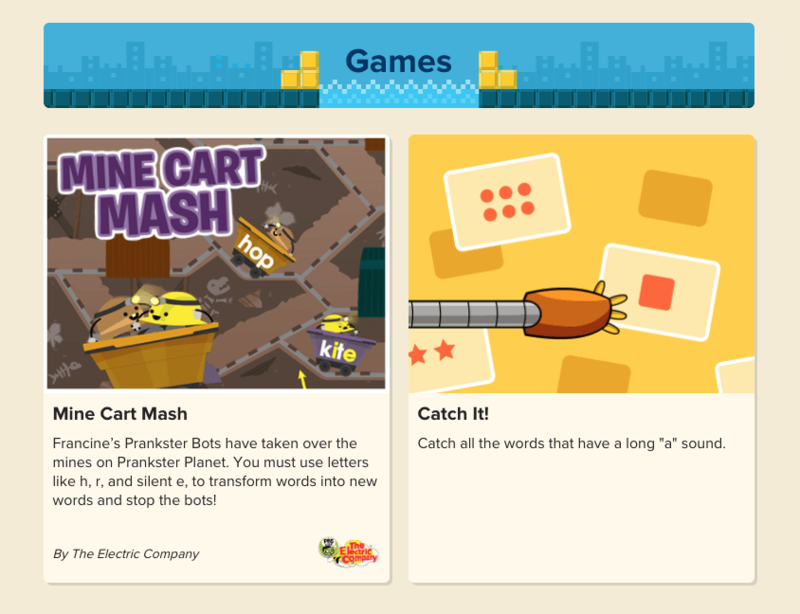 Some topics also feature games created by our GameUp partners, such as The Electric Company. Can I access BrainPOP Jr. Games from my phone? No. You will need to use a desktop or tablet to access BrainPOP Jr. Games.